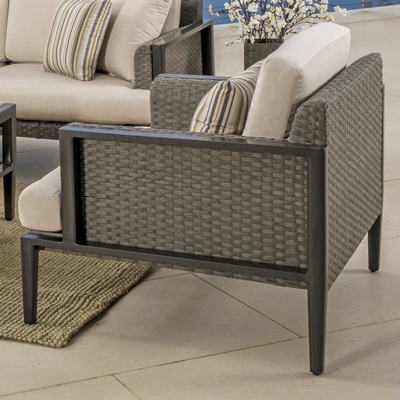 Give your guests additional seating or put up your legs with this pair of ottomans. 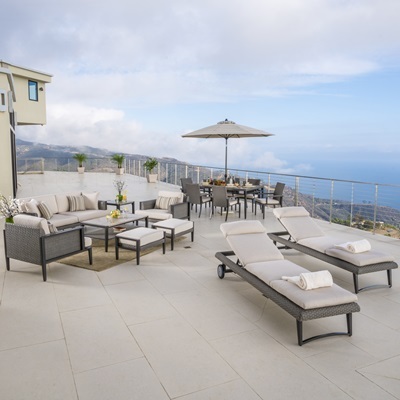 Durable materials are built to last through the elements, and provide comfort for relaxation. 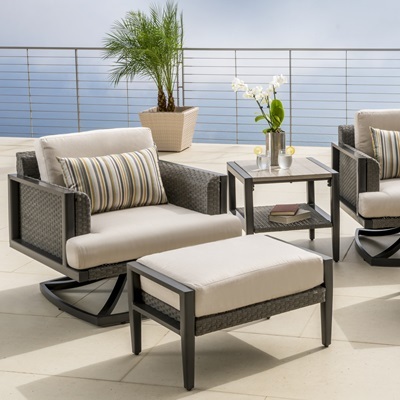 Modern design is coordinated to match the Vistano Collection, and features a timeless look for years of enjoyment. 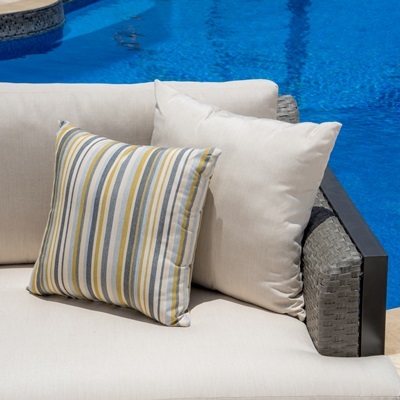 4-inch thick outdoor cushions are wrapped in Sunbrella® fabric. Designed to coordinate with the pieces in the Vistano Collection.